The directions were issued at a recently-held meeting chaired by PWD Engineer-in-Chief Umesh Chandra Mishra. 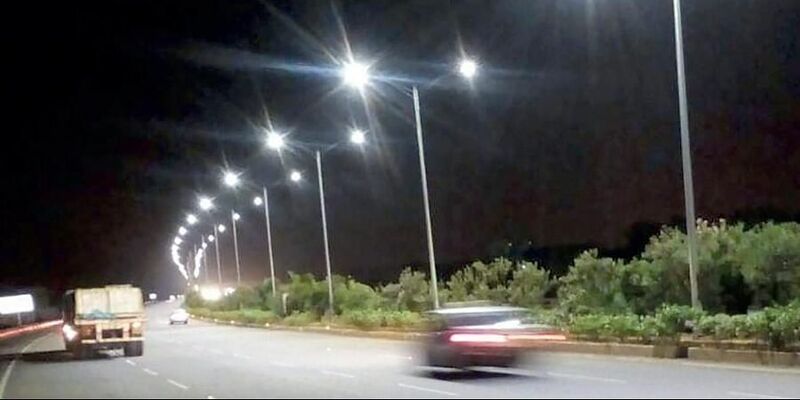 NEW DELHI: Concerned with the rise in complaints about non-functional street lights, the Public Works Department of the Delhi government directed officials to visit roads between 9 and 10 pm for spot inspections. According to the minutes of the meeting, field units were directed to prepare a checklist indicating that all street lights were properly functioning at night on the PWD's roads. "It was informed by Director (E&W) that a number of complaints regarding non-functioning of street lights are being received. The E-in-C directed that the maintenance vans attached with various field units should inspect the roads at night between 9 to 10 pm for on-the-spot-inspection," stated minutes of meeting. The PWD owns around 1,260-km roads in the national capital. Local bodies also own their roads in the city. It said all the chief engineers of maintenance zones were asked to ensure that necessary directions are passed to field units in the matter. Apart from this, the PWD also directed for appointment of a link officer in every Assembly constituency in the city to interact with respective MLAs on various issues pertaining to the agency. The move has come after several legislators demanded appointment of a link officer for works pertaining to the PWD in their respective constituencies. Also, according to minutes of the meeting, the PWD asked its officials to repair potholes on its roads immediately. "The E-in-C stressed on taking a serious view of the matter pertaining to repair of potholes and ensure timely action by all field units as the liability in the matter wrests with road owning agencies," it stated.